Tropical Notes, Hearty and Delicious! With all the gorgeous, warm and sunny days we’ve been having, we can’t get enough of Summer Salads! So we made a big batch of one our favorites. 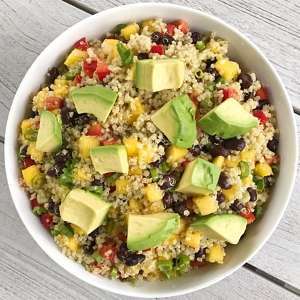 Nutty quinoa, hearty black beans, juicy mango and crunchy red pepper all mixed with a simple Lime Dressing and topped with creamy avocado. 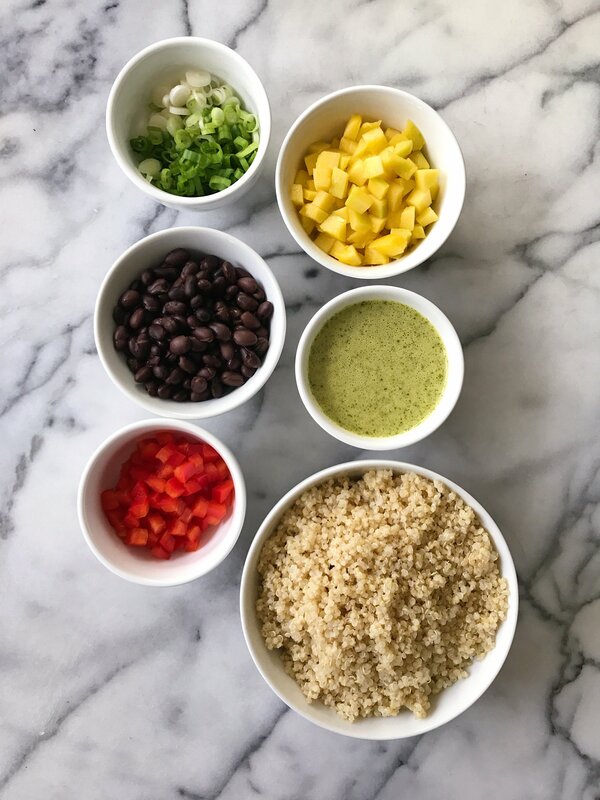 This easy to prep salad has an amazing mix of flavors and textures. It’s fresh-tasting yet hearty, and perfect as is or alongside any protein of choice. Best part, it makes a large quantity and stays fresh for a few days (add avocado only when eating) so it’s great for feeding a crowd or meal prep.